I am from France. French food culture is one of the most renowned in the world. Families gather together for hours eating simple or fancy meals. Food takes centre place for many events throughout a family's life. My husband is from Portugal. Portuguese food culture is perhaps less well known worldwide but it is also crucial to Portuguese people in the same way as Italian or Spanish food cultures are. Even though growing up, I was never really interested in cooking and food, in my twenties, I realised that food was a great way to connect with people. Living in student accommodation with people from around the globe, we found common grounds around home-cooked meals from our own cultures. Lively debates and life-changing discussions happened while sitting around a table sharing a feijoada prepared by our Brazilian neighbours or a bowl of spaghetti made by a Sardinian room-mate. As my husband and I met in this amazing melting pot of food, languages and world cultures, food became central to our identity as a couple and now as a family. 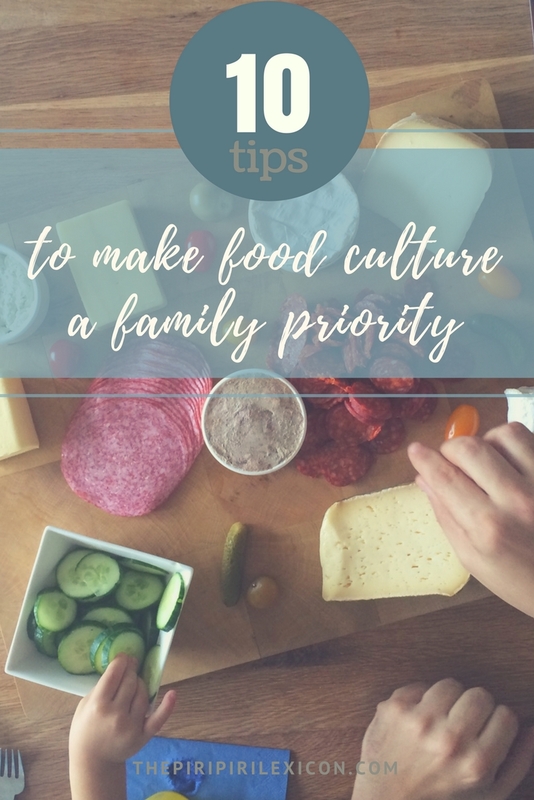 If food culture is important to our individual cultures, it has become a really big deal for us as a family. Food connects my husband and me as a couple: gathering around good food with good people, making family memories around a dish is how we love to live. Some of our best travel memories go hand in hand with things we have eaten: the Canadian lobster in a church hall, the Lebanese hummus made by an immigrant in Brussels, the real Turkish kebabs sampled with friends in Istanbul, the pão de queijo for breakfast in São Paulo, the Neapolitan pizza that was so cheap we had it three times in three days, the grilled sardines in a tiny Portuguese island where tourists can't stay, the Algerian aubergine salad in Paris,... I will stop now because my mouth is watering. Some of these were with kids, others were not. We like to eat our way around the world. A good meal makes our holidays. Not every time. We also do fast food chains (Max in Sweden was a favourite of our kids this summer) or pizza take-away on the hotel bed because we are only human and family life doesn't always lend itself to fancy meals. Pizza on the hotel bed after a loooonnnng day! Even if we live in Germany, we don't eat typically German foods. Our family food culture is a mixture of our heritage food cultures (French, Portuguese, British) and some others we love: Mexican, Middle Eastern, Italian and a few German classics for good measure. We encourage our kids to try. They can hate it, love it or be indifferent but they have to try. And they do. Most days. Our kids, 3 and 7, love warm chorizo with fresh bread, Schupfnudeln (thick noodle similar to gnocchi) with applesauce, pancakes, tacos, spring rolls and camembert. Pretty eclectic, right? Why am I writing all of this? I am not trying to brag. I was simply reminded earlier this month that what we do with food and our kids is not really that normal. It is only when we meet other kids who are growing up with one culture and have fewer opportunities to try different things that we realise how different our own life is. It is those 'extraordinary' (we don't see it as extraordinary but others do) experiences that make our family special, lucky and truly cross-cultural. Over the summer our kids have amazed us with trying out new foods, things they are not used to eating on a daily basis. They tried seafood in Sweden (crab and lobster). Mister 3 loved whole barbecued sardines (a Portuguese classic he hadn't yet tried). Our biggest win though was when we stopped at a Brazilian restaurant in Hamburg, of all places. We went to a rodizio, a kind of Brazilian steakhouse with amazing meats served on skewers by a waiter at your table. Our kids tried everything that was brought to them. And Miss 7 had something Brazilians love but most people would not even try: chicken hearts. They are considered a delicacy in Brazil. She had two! She said they tasted nice. Food diversity is truly part of our family. 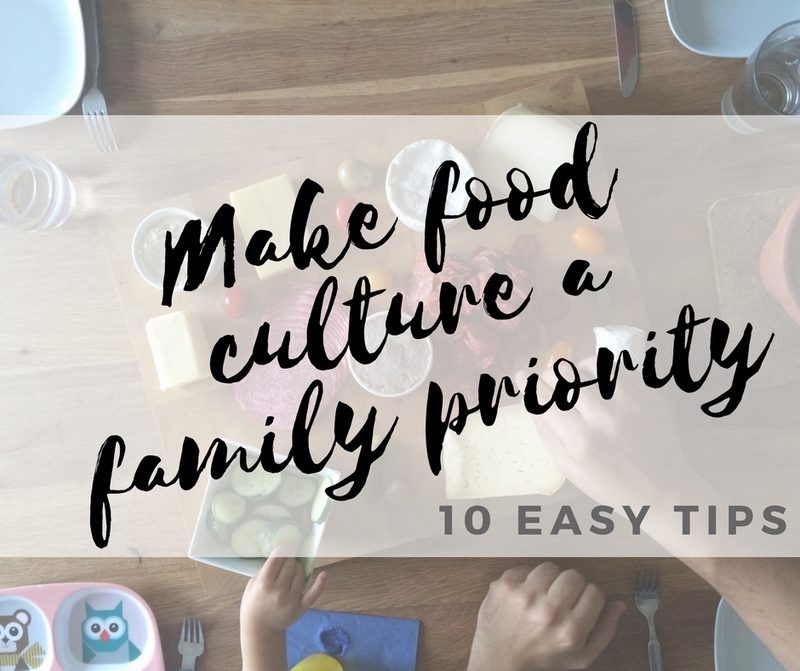 Here are some simple everyday tips we use to make a diverse food culture a big part of our family life. Even on most school/work days, we do make a big effort to all eat as a family. Family dinner time is the time we can all chat as a family. We chat about our day, about the plans for the rest of the week, etc. Everyone sits around the table and we eat and chat. Sometimes it is quick, sometimes we are tired, sometimes we sit in silence, but we make it our priority. More often than not, we all have on our plates the same thing. There is no cooking two meals or serving kids another dish. We all eat the same thing. Even as babies, we liked to give our children a simplified version of our meals from very early on. Our boy refused any kind of food jars so that made life much easier in many ways. He just had what we had. 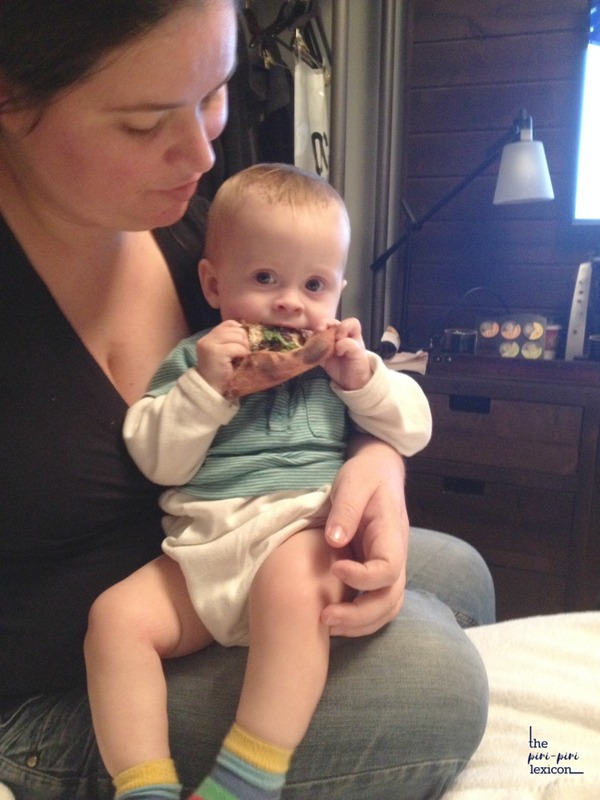 (See this article from Pura Vida Mom on transitioning to solids Costa Rican-style. This is pretty much my outlook.) Of course, we do adapt sometimes or remove a few ingredients we know they are not keen on, but, generally speaking, everyone eats the same thing. Meal time has always been very diverse. We may have tacos one day and Abendbrot the next. We love to try new foods and new recipes. We also love to mix ingredients that wouldn't maybe culturally go together: our own food mash-up. We will be having rösti with chorizo tonight! My husband travels a lot for work and he loves bringing back new things to try. Forget the sombrero from Mexico. I will take some fresh tortillas and salsa verde anytime instead. We do the same when we travel. Diversity in our plates is crucial to raising our little world citizens. 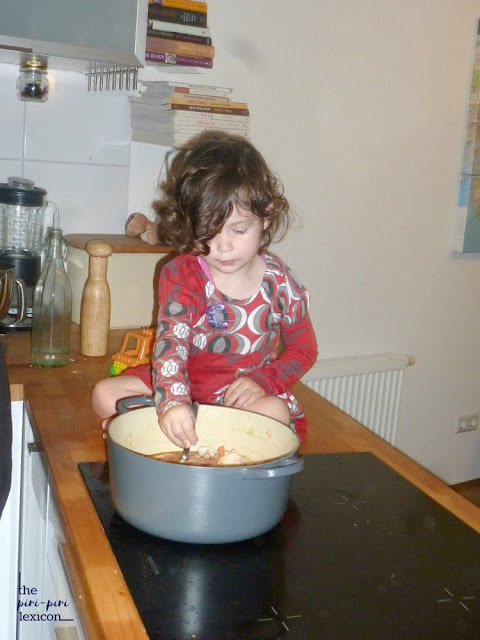 Since the time our children could sit, they have been observing food preparation from the comfort of the worktops. Yes, we do sit them on worktops in our kitchen. Be horrified if you want! They get to touch, smell, see and experience food preparation from the best possible seat in the house. They now get to chop, mix, stir and cook too. Cooking with children is fun and educational. It gives them life skills and shows them how food is made. Cooking and eating is fun. It is not a source of stress, it is fun. We eat good food because we like it. Whether it is at home, on the go or in a restaurant, eating is a fun experience. There are lots of creative ways you can make food fun. We took part in this sweets swap, for example. Our kids got to try Mexican and Puerto Rican sweets and treats even I had no idea about. At 3 and 7, they are pretty used to our 'try once rule'. They don't like it, that is no problem at all. But they need to try everything in their plate. We explain why trying new foods is important (they might discover something they like even better than their current favourite). We also explain what it is like to take the surprise out of the experience (it tastes like chicken!). Here are some more great tips to get your kids to try new foods. We usually do not provide any alternative whenever they don't like something. Children are very good at self-regulating. They will eat if they are hungry. We love to also show other children who come to our house that we do diverse foods. I love serving snacks other children may not be familiar with. Peer pressure is a great way to get children to try new foods. If one child gets excited about something, others will usually try. 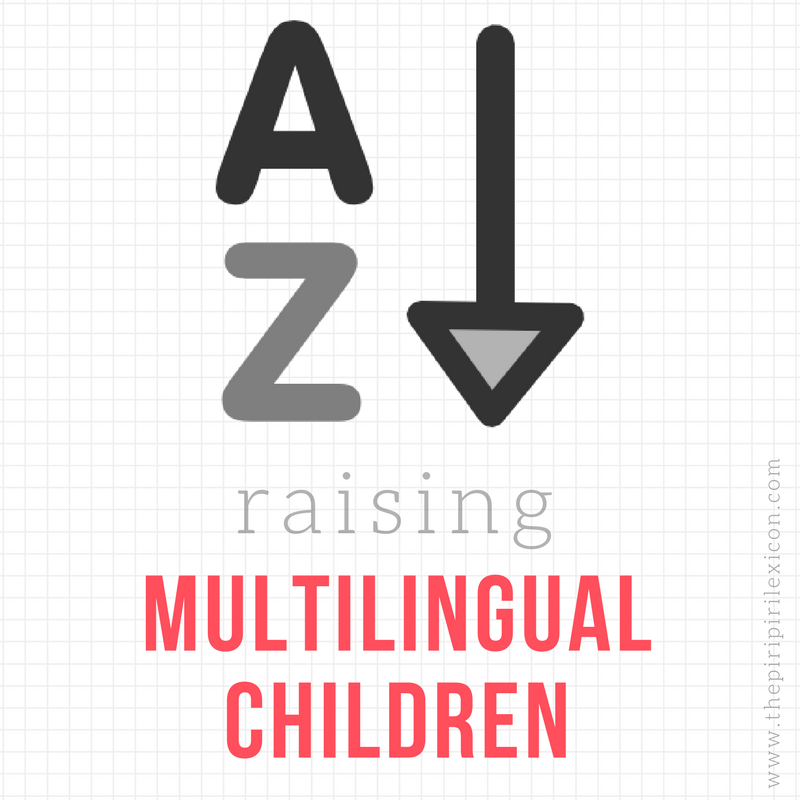 This works really well at school or kindergarten too. No lunch box for us there (there is a choice at our school): you eat what is on the menu. Trying once is not enough. Studies have shown that it takes a number of repeated tries to get children used to the taste and like something. So even if we had it last week, we do have to try again today! This is a pet peeve of mine. Having children does not mean you have to stop eating out. If you never take your children out to a restaurant, of course, they will misbehave when you take them for the first time for the birthday of great-aunt Margaret. Both my husband and I come from cultures where children will sit and wait for their meals in a restaurant. Our children actually think going to a restaurant is actually a treat. They get more excited about our local street food festival than going to the park sometimes. Any celebration is an opportunity for food. Food should be synonymous with joy, happiness. Our family celebrations revolve around food. Pizza night is perfect for celebrating the first day back at school, a picnic for Papa's birthday, a Sunday brunch with friends, we love that food takes center place for our social gatherings and family legacy building. Anything to add? I would love to hear your experiences and tips when it comes to family food culture. 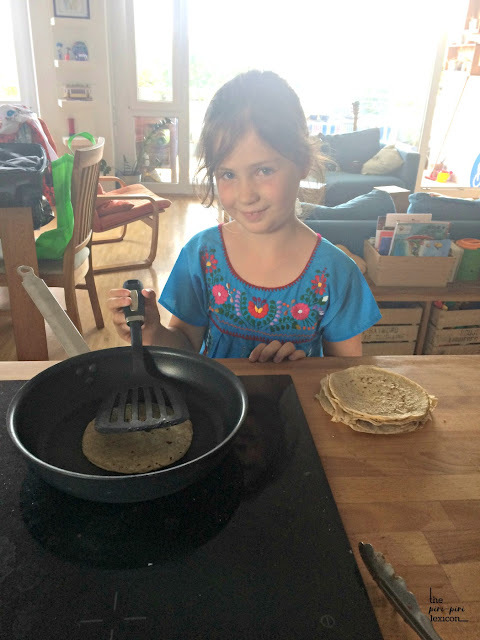 How do you get your kids to try new foods? How do you bring diversity to your dinner table? - Global Table Adventure: the story of a mum who cooked a dish from every single country around the world. - Pint-Sized Gourmets: two truly amazing global kids learning about the world through food. - Kid World Citizen: simple kid-friendly recipes from around the world. What a great article with some excellent tips to help others.